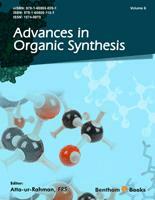 This eBook brings some of the most recent applications of synthetic organic molecules and research to the fore. To offer the reader a broader overview of the diversity of applications, examples carefully chosen from different categories have been included. The first two chapters deal with transition metal based catalysis. In the first article, Dr. Kostas reviews new developments inP,N-containing ligands for transition-metal homogeneous catalysis. Dr. Tam and his team then describe the construction of cyclobutene rings through transition metal-catalyzed [2+2] cycloaddition reactions between bicyclic alkenes and alkynes. In the next chapter Savoia and Gualandi review various techniques for the formation of ring structures ranging from nucloephilic substitutions to metal based reactions. Dr. Carmona and his coauthors focus on the glycosylation methodologies for the synthesis of oligosaccharides and related compounds. In another interesting update, Dr. Aranda and his team present research findings on the synthesis of -Lactams. Next, Majumdar et al. review the formation of five- and six-membered heterocyclic compounds by ring-closing metathesis. In the last chapter of this eBook, Dr. Haldar describes the synthesis of amino acids and analogues for studying foldamers - oligomers that adopts a secondary structure stabilized by noncovalent interactions. I would like to thank all the contributing authors and personnel at Bentham Science Publishers for the time and efforts and the constructive suggestions by the external reviewers.